Our National Trails Day 5K is fast approaching! The Competitive Run/Non-competitive Walk is June 2nd at 8:00 a.m., beginning and ending at our CG headquarters, the Wysor St. Depot. The race is chip timed and medals are awarded. Cost is $20.00/$10.00 all students, which includes a CG 5K shirt. To be guaranteed a shirt, register by May 18th. You may register the morning of the event. For more information, vistit cardinalgreenways.org. 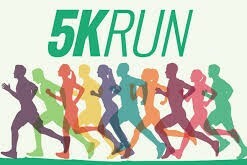 Cardinal Greenways is grateful to the generous sponsors of our NTD 5K: Bowen Engineering Corp, title sponsor, and Ball State Federal Credit Union, LIfetime Skin Care Centers, HWC Engineering, Cross Law Firm, Victory Honda of Muncie, First Merchants Bank, and Land Collective. Cardinal Greenways not only offers you a beautiful rail trail to enjoy but also bikes to ride! 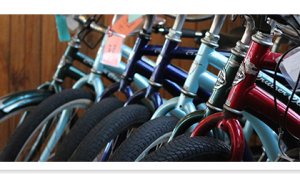 We have sizes from youth with training wheels to men’s adult. Cruisers are available Monday – Friday 8:00 a.m.- 3:30 p.m. and, beginning mid-May on Saturdays and Sundays 10:00 a.m.- 2:30 p.m. Cruisers are FREE with a valid photo ID. For more information, visit cardinalgreenways.org. 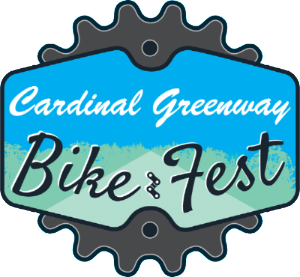 Be sure to save the date for our third annual Cardinal Greenway Bike Fest on July 27, 28, and 29. It’s three days of cycling fun including a Community Group Ride on Friday evening and the Great Greenway Tour all day Saturday, both sponsored by Old National Bank. On Sunday morning, the Muncie Power Products Grand Prix begins. It’s a day of exciting races on a downtown Muncie course. CG Bike Fest offers something for everyone! For more information, visit cardinalgreenways.org. Now’s the time to become a Cardinal Greenways volunteer! Volunteers are needed to help keep our trail in great shape for the 2018 season. You can choose from a variety of jobs, with the days and times up to you. If you enjoy Cardinal Greenway, why not give a little back? 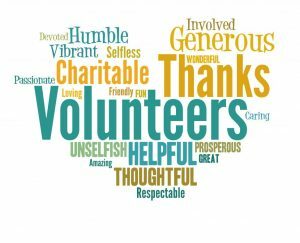 We know you’ll love being a part of the Cardinal Greenway Volunteer Team. The current world record for a 5K distance run was set on May 31, 2004, by Ethiopian distance runner Kenenisa Bekele. Bekele’s time was just 12:37:35. A 5K is the equivalent of 3.1 miles, so Bekele’s record was set at a pace of 4:03 minutes per mile!